Disney Princess Rapunzel. Rapunzel. HD Wallpaper and background images in the Tangled club tagged: rapunzel disney tangled disney princess. This Tangled wallpaper might contain گلدستے, سے corsage, میں posy, nosegay, بکی, کورساج, گلدستہ, نوسیگی, پورٹریٹ, آرچر, closeup, تصویر, and ہیڈشوٹ. 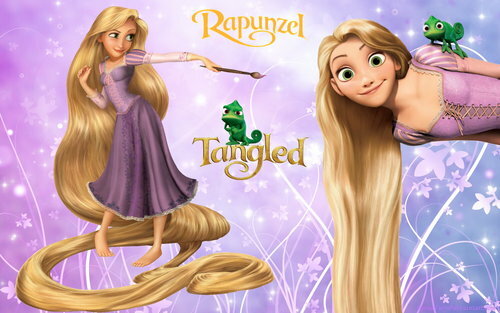 I like disney tangled and i seeing this movie 2 times and i love this movie its marvelous.At the end of the movie rapunzel hair was rudely cut's i think the hair was so short .rapunzel look's beautiful in long hair.